It’s true, Las Vegas is the City of Lights and what better way to spend an evening of entertainment and extravaganza by traveling along the Las Vegas Strip and the popular landmarks. Absorb the city’s marvelous vastness with a complimentary champagne toast. Come have fun with us with a Las Vegas City tour! This isn’t the usual boring Las Vegas strip bus tour, this is a fun filled night with sites, sounds, laughter and a champagne toast. See all of the Las Vegas tour features that you would expect: the Bellagio fountains, the famous welcome to Las Vegas sign, Fremont street and more! We start your tour in a luxury Mercedes Sprinter taking you for a one in a million view of Las Vegas from the outskirts of town. But the experience that many remember is the view of Hoover Dam at night with its lights majestically twinkling as if they were stars. Most tours from Vegas never show you the man made marvel that’s just over 30 minutes away and a site that won’t be forgotten. After seeing the Hoover Dam, Las Vegas from an overlook, the welcome sign, Bellagio fountains and all the iconic structures, you then choose how you want to end the night-Freemont St or The Foundation Room at Mandalay Bay. 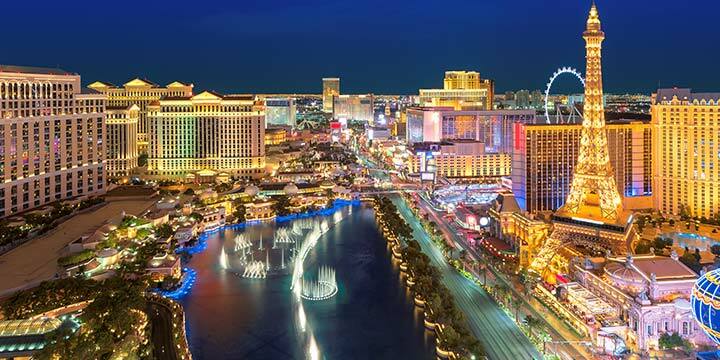 If you must choose just one Las Vegas tour, choose this!